Download Sports Edge! Software and start picking winners of NFL, NBA, NCAA, and MLB sports. With access to team and league trends, common opponents, historical matchups and other matchup data, Sports Edge! 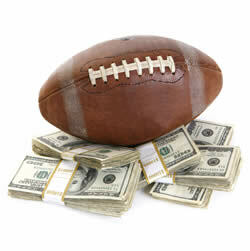 puts you in control with an effective handicapping approach for picking winners of NFL, NBA, NCAA, and MLB sports. Full access to unplayed games is available for free for the first 3 weeks of each sport. Beyond that, every Thursday is available for Free allowing you an additional opportunity to try before you buy. Monthly subscription access is needed for games outside of the free trial period. Click the button below to download and install the newest version of Sports Edge! Handicapping Software and get on the path to winning. *Requires MS Windows operating system.